He received his PhD from MIT in 1982 and then joined the Society of Fellows at Harvard, and was a professor at Yale University and Chair of the Physics Department at Case Western Reserve University before taking his present position. Internationally known for his work in theoretical physics, he is the winner of numerous international awards, and is the only physicist to have received major awards from all three US physics societies, the American Physical Society, the American Institute of Physics, and the American Association of Physics Teachers. 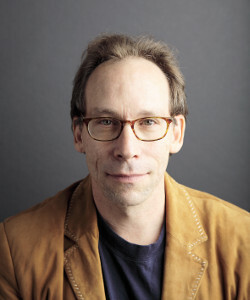 Krauss is also a commentator and essayist for newspapers such as the New York Times, and the Wall St. Journal, and has written regular columns for New Scientist, Scientific American, and Slate, and appears regularly on radio and television. He is one of the few scientists to have crossed the chasm between science and popular culture, and is also active in issues of science and society. He serves as co-chair of the Board of Sponsors of the Bulletin of the Atomic Scientists, and on the Board of Directors of the Federation of American Scientists.In 2012, he was awarded the National Science Board's Public Service Medal. In 2013, Krauss starred in a new full length feature film documentary called The Unbelievers, which follows Krauss and colleague Richard Dawkins around the world as they discuss science and reason. The film had its world premiere at the Hot Docs International Film Festival in Toronto in April 2013. A number of celebrities including Woody Allen, Werner Herzog, Cameron Diaz, Ricky Gervais, Ian McEwan, Cormac McCarthy, Sarah Silverman and others appear in the film, for which Krauss was the executive producer.